For the longest time, demanding professionals with a refined sense of style were limited to just one laptop: the MacBook Pro. Even those who are partial to macOS and everything Apple products stand for had to acknowledge the undeniable elegance of the MacBook Pro and its excellent performance. But times change, and there’s now an entire category of premium laptops with top-of-the-range hardware and sleek design. Perhaps the most popular among these so-called ultrabooks is the Surface Pro from Microsoft, which is a compact laptop with a detachable keyboard and support for highly accurate touch and pen input. Both the Surface Pro and the MacBook Pro have been recently updated, and many consumers now wonder which of the two laptops is better. To help you answer this question, we present you with our detailed comparison of these two stunning machines. The MacBook Pro is available in either 13 inches or 15 inches. Regardless of which size you go for, the basic form-factor remains the same: stylish metal chassis, thin bezels, low weight, and non-detachable keyboard. The Surface Pro is available only in 12.3 inches, which is something you should take into consideration if you need a laptop for tasks and applications that take up a lot of screen space. Unlike the MacBook Pro, the Surface Pro can either be used as a tablet or as a laptop, depending on your needs. Both laptops are works of art, and they are also engineering marvels that defy expectations—each in its own way. For example, the MacBook Pro has what’s likely the smoothest and most comfortable touchpad ever made, making all tasks that require a lot of mousing easier to complete. The Surface Pro has an ultra-sharp touchscreen with pen support for natural drawing and handwriting. While the MacBook Pro has a traditional non-detachable, backlit keyboard with an ambient light sensor, the Surface Pro has a detachable and optional keyboard designed to provide a perfect blend of sophisticated style, comfort, and technology. If you have money to spend, you can get the most expensive version of the MacBook Pro, which comes with Touch Bar. As the name suggests, Touch Bar is a touch-enabled OLED strip that can display various contextual function keys depending on the app you’re in. It’s a nice extra, but its value is debatable. Considering that the Surface Pro is essentially a powerful tablet that can transform into a laptop, you might expect it to have very limited connectivity options. In reality, the Surface Pro has one USB 3.0 full-size port, one Mini DisplayPort, and a microSD card reader. On the other hand, the 13-inch version of the MacBook Pro only has 2 Thunderbolt/USB-C ports to handle everything from data to charging to video output. If you’re not willing to spend money on adapters (lots of them), you should go for the 15-inch version, which at least has 4 Thunderbolt/USB-C ports, so you should be able to get by without a USB-C hub. The 13-inch MacBook Pro, which is closest in size to the Surface Pro, has 2560 x 1600 resolution and 16:10 aspect ratio. The Surface Pro has a higher pixel density with its 2736 x 1824 resolution, and its 3:2 aspect ratio makes the display noticeably boxier. The small difference in pixel density doesn’t matter much, but the non-traditional aspect ratio of the Surface Pro can be a deal-breaker for some and a huge selling point for others. Because the display is taller than most videos, movies, and TV shows, you can expect to see black bars at the top and bottom of the display when watching YouTube or Netflix. But the fact that the display is taller than 16:10 or even 16:9 displays means that you have more space for browsing the web or editing documents. In other words, the Surface Pro is superior for productivity and the MacBook Pro is superior for fun. The Surface Pro supports the Surface Pen, which is a metal stylus with 4,096 pressure points that respond to the lightest touch, and it also supports the Surface Dial, which is an innovative controller that makes it easier to work with applications such as Photoshop, Premier, AutoCAD, and others. The MacBook Pro doesn’t have any touch support apart from Touch Bar. Both laptops feature Intel’s latest 7th-generation Kaby Lake CPUs, up to 16 GB RAM, and an integrated GPU from Intel. The Surface Pro is available with up to 1 TB SSD, while the MacBook Pro is available only with up to 512 GB SSD. What this all means in practice is that both laptops are powerful, responsive, and capable of running even the most demanding applications. Because neither laptop comes with a dedicated GPU, don’t expect to do any heavy gaming. 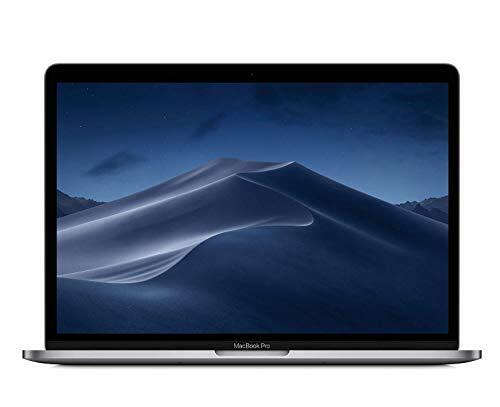 If you need more graphical power, the 15-inch MacBook Pro is available with either the Radeon Pro 555 with 2GB memory or the Radeon Pro 560 with 4GB memory, which are powerful dedicated graphics card based on the Polaris architecture. 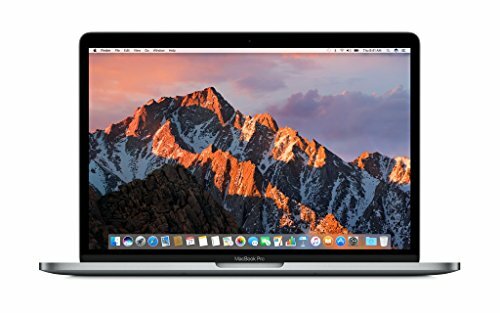 Value-wise, the base 13-inch MacBook Pro costs $1,299.00, and it comes with 2.3GHz dual-core 7th-generation Intel Core i5 processor, 8 GB 2133MHz LPDDR3 memory, and 128 GB SSD storage. 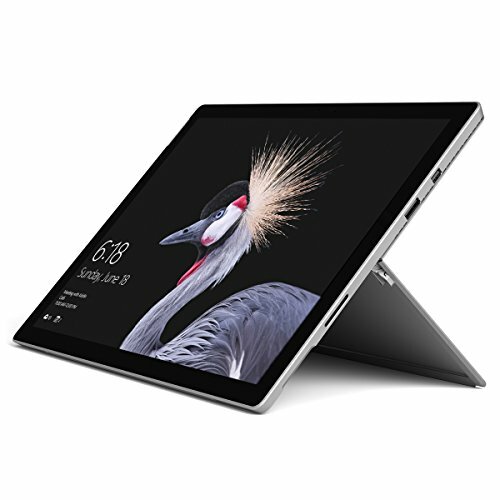 The least expensive Surface Pro costs $799.00, and it also has a 7th-generation Intel Core i5 processor and 128 GB SSD, but only 4 GB of memory, which is not enough for anything beyond the most basic tasks. To cheapest model with 8 GB of memory costs $1,099.00. The advertised battery life of the MacBook Pro is 10 hours o wireless web browsing, and the advertised battery life of the Surface Pro is 13.5 hours of video playback, which means the two laptops last roughly the same on a charge. As you can see from our comparison, both the Surface Pro and the MacBook Pro are excellent devices, and they both offer something slightly different. The Surface Pro is the more portable and versatile of the two, while the MacBook Pro is the more traditional. If most of what you do on the computer revolves around typing, it makes sense to purchase a laptop with a high-quality keyboard included in the price—the MacBook Pro. If, on the other hand, you hardly spend a day without a graphical stylus in your hand, the Surface Pro seems to be perfect for you.